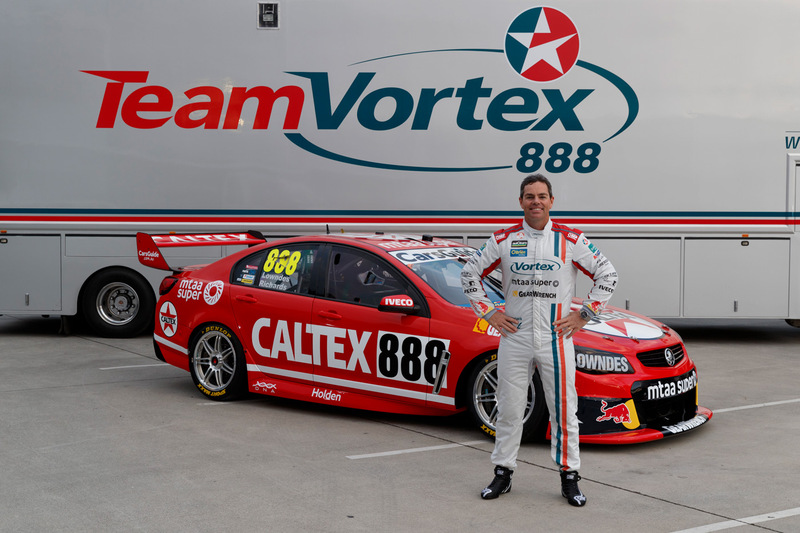 The covers today come off Craig Lowndes’ special edition livery ahead of the Wilson Security Sandown 500 Retro Round, as the TeamVortex Holden hits the track at Queensland Raceway for testing. Trading in its familiar ocean green colours for an early ‘90s-inspired, red and white livery, the no. 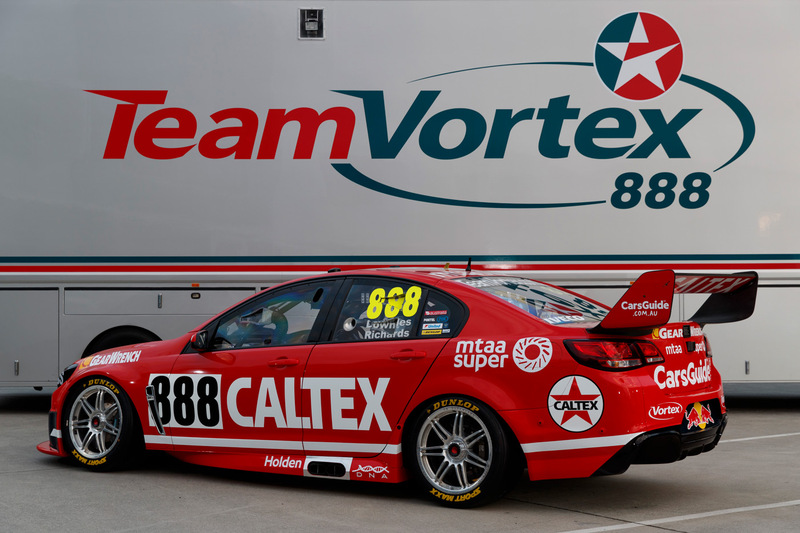 888 Commodore is getting into the spirit of the retro theme at the first of this year’s Pirtek Enduro Cup events. 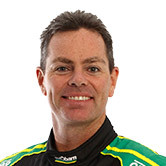 Co-driver Steven Richards will be joining Lowndes at today’s pre-endurance season test day, the pair hoping to continue the success of their Supercheap Auto Bathurst 1000 win last year. Both drivers are excited to be getting behind the theme, having grown up watching the racing and idolising the heroes of the eras being celebrated. 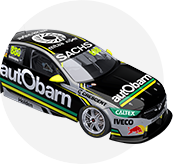 “It’s great to be sporting a new livery ahead of the retro round at Sandown Raceway,” said Lowndes. 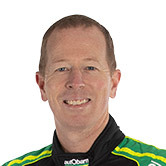 “This year is the 47th time Sandown Raceway has hosted a touring car or Supercars event, which is more than any other venue and, from what I hear, it seems that everyone is really getting into the spirit of it and it is a great way to celebrate the raceway and its heritage. Richards is excited to be back for the 2016 season, this time with a new team in the Caltex-backed TeamVortex. “Craig is on fire at the moment, so naturally I’m eager to slide into the co-driver’s seat and do my bit for the endurance season. It is great to be on board with TeamVortex this year. "The retro round is an excellent opportunity to relive some of the great moments from Australian motorsport. 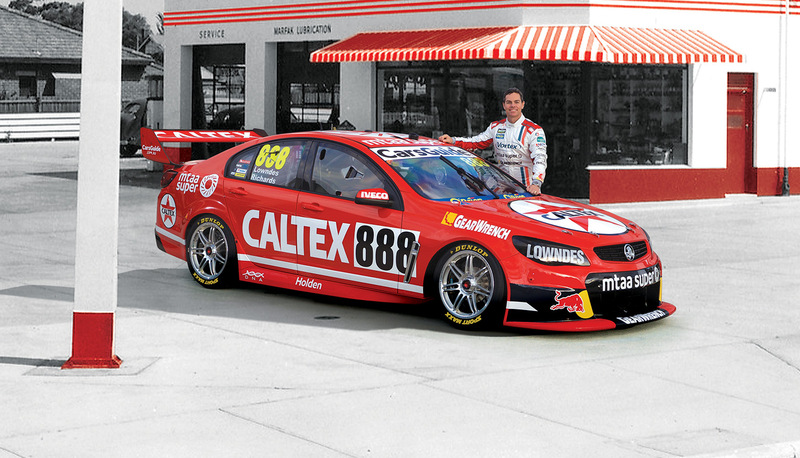 I know our car is looking great, as Caltex have a great history with our sport over the past 30 years." To match the new paint job, the TeamVortex crew will be donning special edition t-shirts for the duration of the event, which are available to buy now from the team’s online shop and will be for sale at Sandown Raceway. 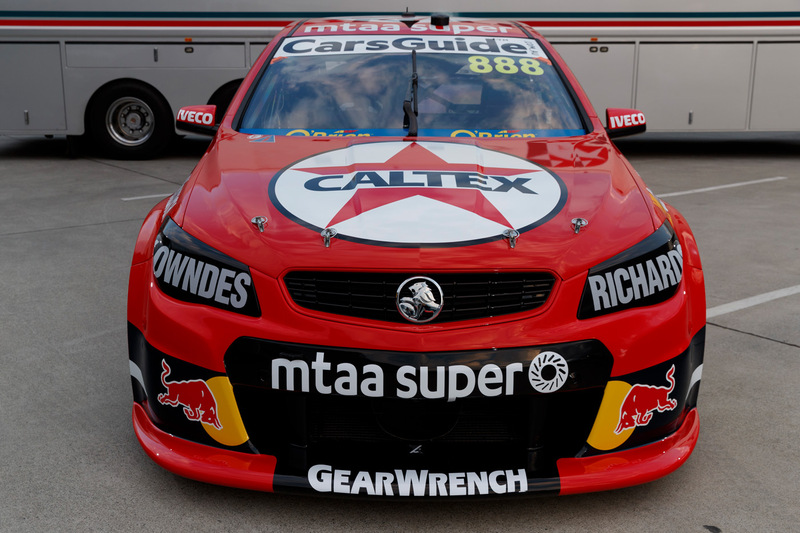 Triple Eight Race Engineering team owner Roland Dane is a big supporter of the themed Supercars event: “It's important to embrace this initiative as remembering our history is paramount. The Wilson Security Sandown 500 is the first of three events in the endurance season and the retro round will kick off the two-month-long mini-championship. The Wilson Security Sandown 500 takes places next week, September 16-18. Tickets are available now at Ticketek.